On Labor Day, we speak with Robin Williams, Director of Civil RIghts and Community Action for the United Food & Commercial Workers International Union. Williams is one of 27 Black women labor leaders profiled in And Still I Rise: Black Women Labor Leaders, a report from the Black Worker Initiative of the Institute for Policy Studies. 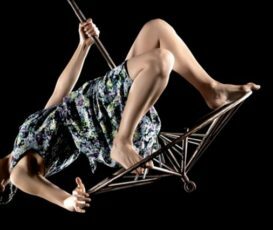 We also talk with choreographer Jo Kreiter, whose company, Flyaway Productions, takes on violence against women with a new aerial dance based on murder ballads entitled Grace and Delia Are Gone. The site-specific dance will be performed at Fort Mason’s Firehouse from September 22 – October 2.